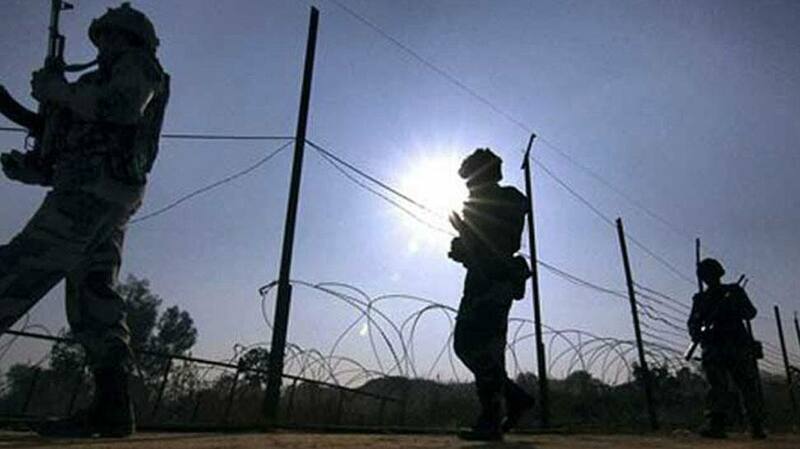 A Jammu and Kashmir civil officer has sought an FIR against some Army personnel accusing them of assaulting him and several other officials on the national highway. The officer also claimed that they were obstructed from performing poll duties. “It is requested that FIR be lodged against the security personnel under the relevant provisions of law for manhandling, intimidating and resorting to violence against the undersigned and my officials and obstructing us from performing our official duties including that of election duties,” read the letter. In a letter to SHO Qazigund, the Sub-Divisional Magistrate (SDM) Dooru, Ghulam Rasool Wani, wrote that he along with his team at 10.40 am on Tuesday were on their way to Vessu in Anantnag district for resolving a traffic matter on the national highway as asked by the Anantnag Deputy Commissioner (DC). However, the Army personnel had stopped all the civilian traffic though it was not a restricted day for Army convoys, claimed Wani. Wani introduced himself to the army personnel at Ujroo after which they were allowed to move towards Vessu. At Dalwach crossing, they were stopped again by some army personnel and asked not to proceed forward unless the Army convey passed to which they complied, Wani added. In spite of complying, one of the army personnel, Viney Kumar, beat Wani’s driver ruthlessly and damaged their vehicle, he wrote. Wani claimed that when he objected, he was abused, picked up by the collar, assaulted, dragged up to about 20 meters and thrashed on gunpoint. The mobile phones of Wani and his driver were broken. Further, the soldier along with two other army men brought Wani’s other employees from the vehicle and thrashed them ruthlessly and broke their cell phones too, he added. Wani added that the abuse didn’t stop there as all of them were taken hostage on gunpoint for about at least 30 minutes, with safety locks removed and threatened to kill them. Their vehicles and other belongings were searched, snatched and damaged. All the data about the election were deleted, damaged and removed and they were not allowed to convey the incident to senior officers. The assault ended and they were set free only after the Anantnag DC reached the site. “I was picked up by collar abused and dragged up to about 20 meters and thrashed on gunpoint. My cell phone and driver’s cell phone were snatched and broken into pieces. Further, the said Army man with other two army men got my other employees down from the vehicle and thrashed/beat them ruthlessly and their cell phones were also snatched and damaged,” wrote Wani. “Not only this, all of us were taken hostage on gunpoint for about half an hour and our vehicle and other belongings were searched, snatched and damaged and all the data about the election were deleted, damaged and removed and did not allow to convey the incident to our senior officers,” added Wani. “The army personnel removed the safety locks of their weapons and aimed guns at us, threatening to kill us. It was only after the Deputy Commissioner Anantnag reached, we were set free,” he wrote further. In Vessu, Wani had to identify parking spaces for halted trucks in order to make the National Highway free from obstructions so that both the security and civilian vehicles have a hassle free travel. After that they had to visit some polling stations, a strong room and inspect a training session of the presiding officers of Dooru Constituency.